This entry was posted in Books I recommend and tagged Arthur Rubinstein, Artur Rubinstein A Life, Beethoven, Brahms, Eugene Delacroix, G.W.F. 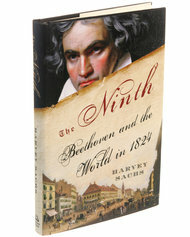 Hegel, Goethe, Harvey Sachs, Hector Berlioz, Heninrich Heine, Imortal Beloved, Lord Byron, Mahler, Marie-Henri Beyle, Mendelssohn, Nietzsche, Stedhal, The 9th Beethoven and the world in 1824, Wagner. Bookmark the permalink.